The Association of Small Business Entrepreneurs in Hokkaido, Tokachi Branch held the Hokkaido Tokachi Fair from 2 to 4 March at Shokutsu 10 (Serangoon NEX). 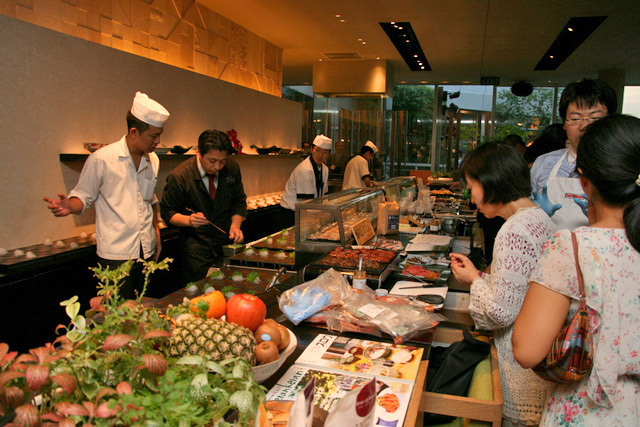 To showcase Tokachi produce, it organized a dinner event for invited guests on 3 March. I was very honoured to be invited again by Harumi Kawai and Master Chef Koezuka Yoshihiko who prepared a lavish 10-course dinner that brought out the best of the produce. I first encountered Tokachi produce at Mikuni, but that was only one dish (albeit a nice wagyu dish) and I had little idea that Tokachi is actually so abundant in various kinds of produce - azuki beans, dairy, wheat, potatoes, root vegetables, beets, seafood, wines and sake. Tokachi products are safe and tested to be free from radiation. 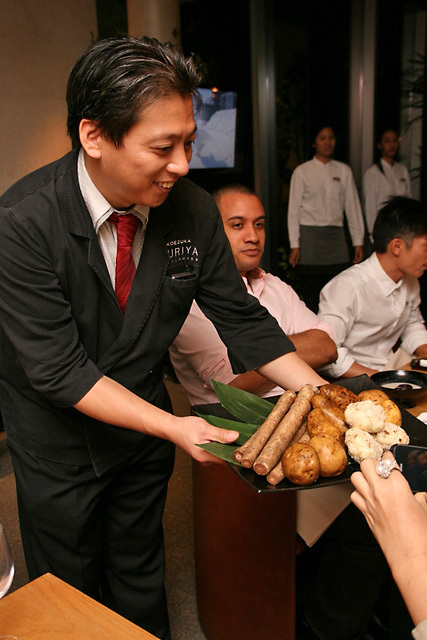 Let me show you some of the products before we go into the magnificent 10-course dinner. 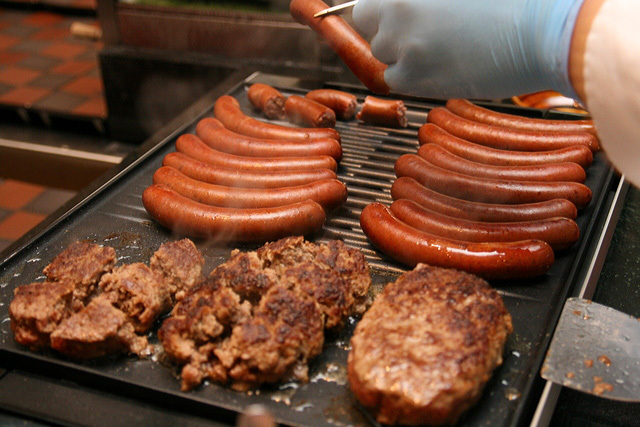 The first thing that caught my eye was this set of sausages and hamburger being grilled. Don't they just look awesome? From Born Free Farm or Gyutoro.com. More on this later. 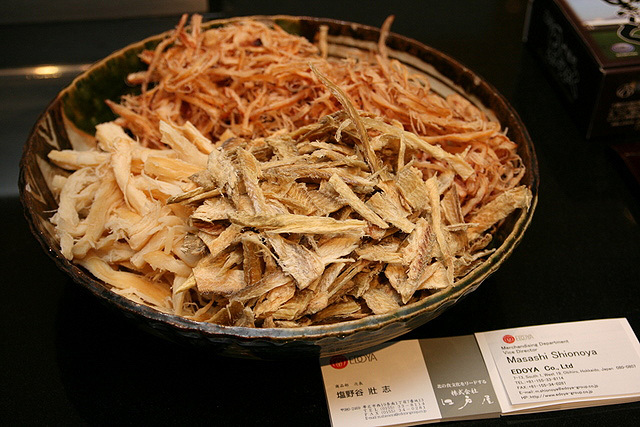 Superb dried squid and cuttlefish from Edoya. 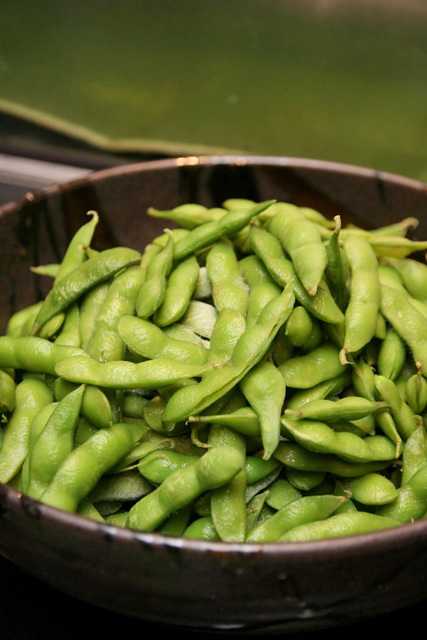 Even something simple like edamame beans (from JA Memuro) were exquisite. Somehow Japanese produce tastes like a lot of care and love went into them. That's probably not far from the truth. Black garlic from Toyonishi Farm. Whole bulbs of garlic are fermented at high temperature, resulting in sweet black cloves with a hint of balsamic vinegar or tamarind. It's a healthy food with lots of anti-oxidants. 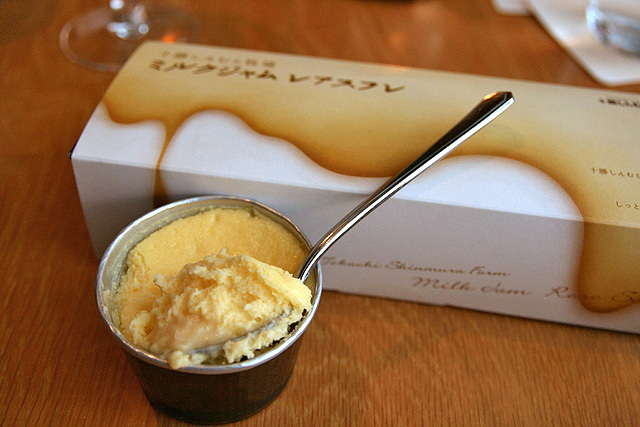 If you like condensed milk, this will probably be the ultimate version. 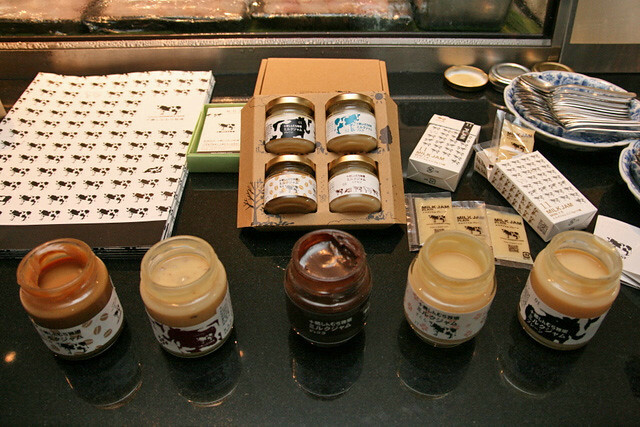 Milkjam.com showcased some interesting flavours - from left to right: coffee, lemonade, cocoa, sakura (cherry blossom), and regular. So rich, smooth and creamy. 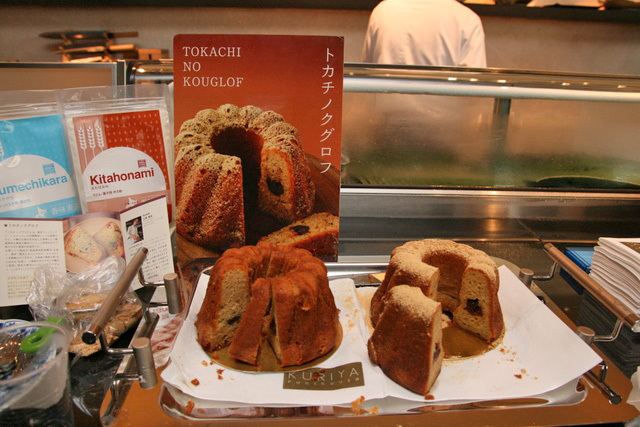 Tokachi Kouglof soaked with brandy. Made from Tokachi wheat and soybean flour. 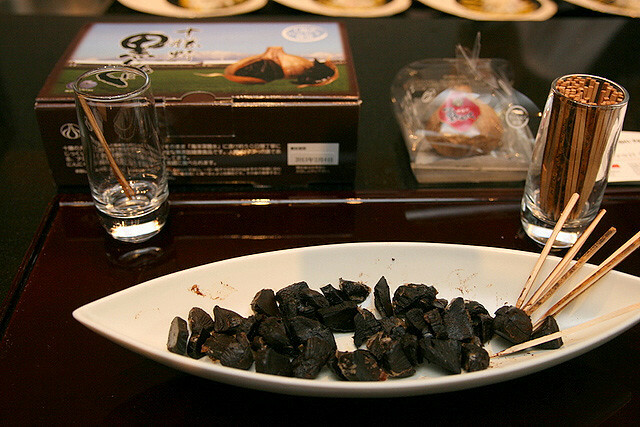 Black soybeans (kuromame) from Azukilife.com. 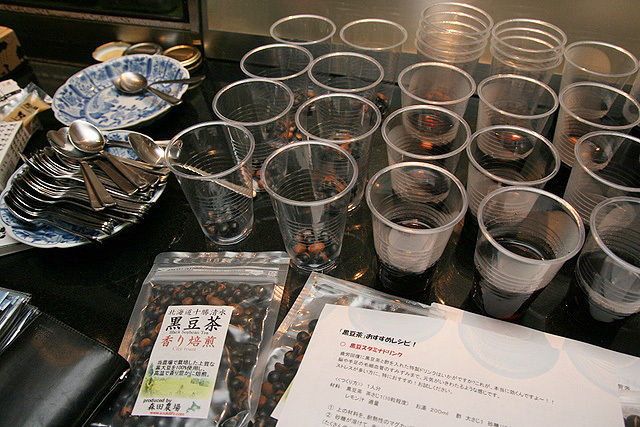 You can pour hot water on these roasted beans for a few minutes and have a nice "tea", or eat them as they are. 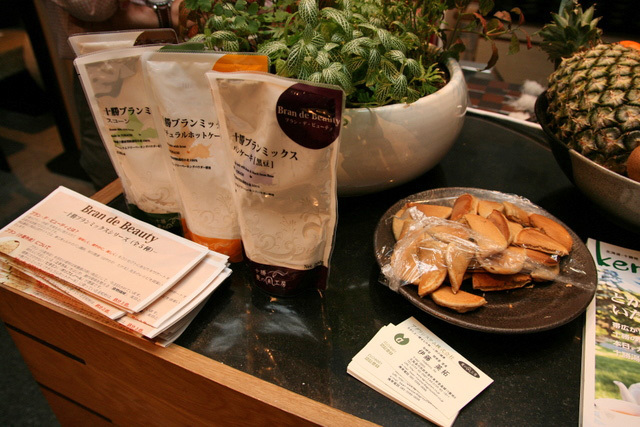 Powdered bran from Bran de Beauty. Something healthy to add to baked goods, I guess. 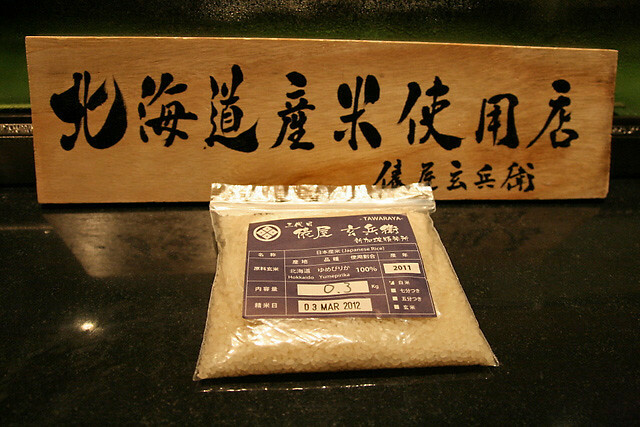 Hokkaido Yumepirika Rice from Tawaraya, which specializes in selling premium Japanese rice online. They just started in Dec 2011 in Singapore, and even polish brown rice here to become white rice, so it's very fresh. Chef Koezuka jokes and tells me the boss is famous for being very handsome! But back to those sausages. If you think they look good (this photo didn't even need any editing), wait til you take a bite! 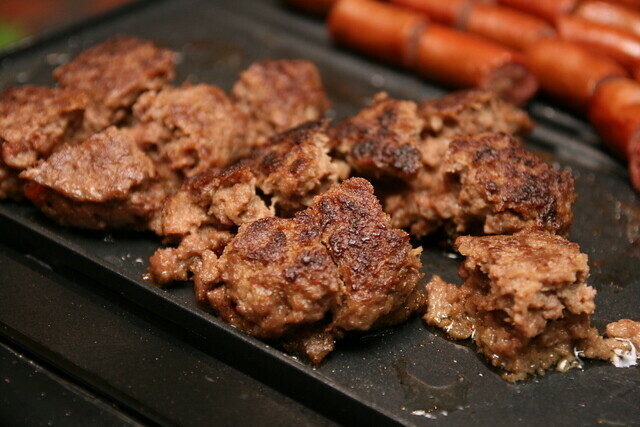 Oh man, they are THE BEST beef sausages ever! Robustly flavoured and with tight snappy casing. I hope they retail soon at Meidi-ya (please?)!! The hamburger too, was so juicy and appetising! 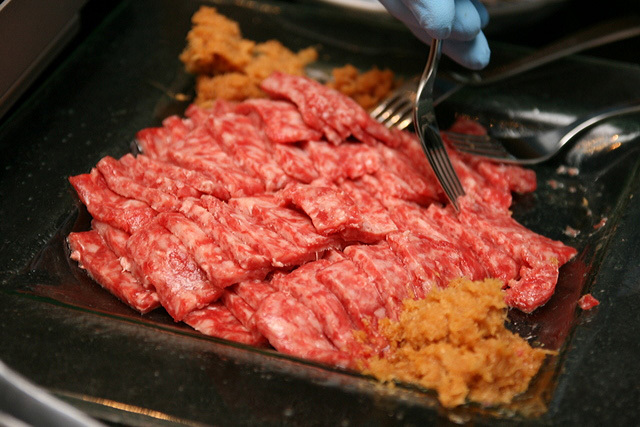 And Born Free Farm also has this cured meat which will show you the real meaning of "melt-in-your-mouth". It almost dissolves on your tongue before you even try masticating! Oh look! Here's the certificate for Hida Beef from Gifu Prefecture (I hear it's quite difficult to get). 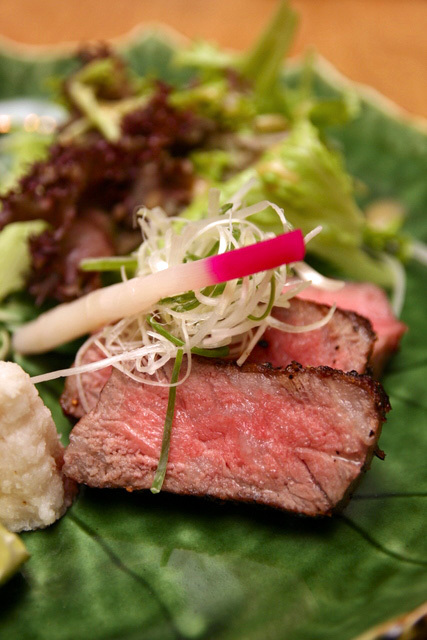 Remember the Hida Beef Fair? 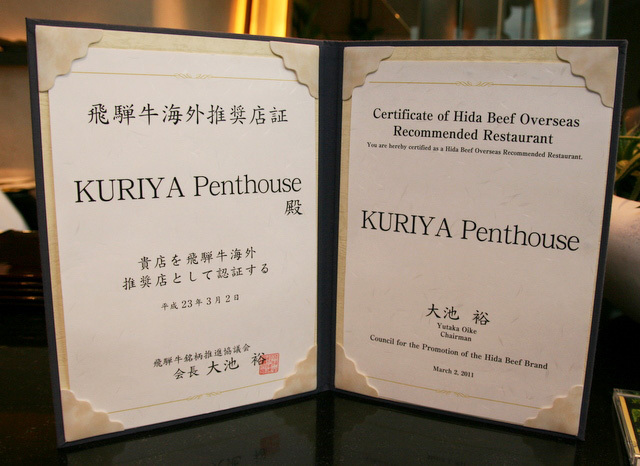 Kuriya Penthouse is where you can taste some of this sublime premium beef. But you must be hungry. Let's take a look at the dinner now. I got to sit with Chen Jingwen of SoShiok.com (my gosh, she is so well-versed in Japanese food and travel). We had so much to talk about. 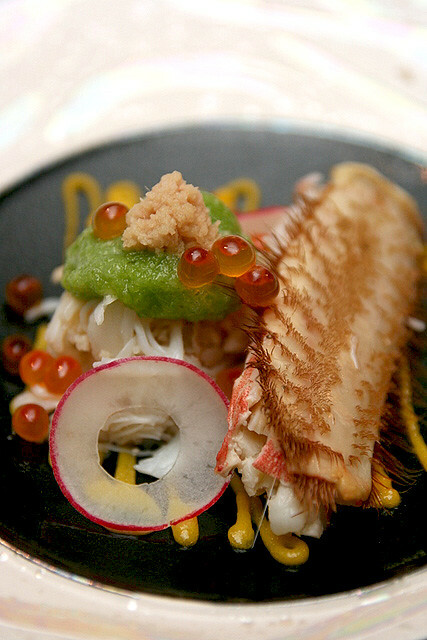 Underneath that hairy shell is a whole slab of crab meat. More delicious shredded meat under the green okra puree. The ocean flavours are spiked by the special yellow horseradish, and this whole dish is an aria to seafood goodness. Here's the kegani, edamame natto, ikura and hokkigai. From bottom to top - hokkigai, hirame, tsubugai and ikura. I have never tasted hokkigai that's this tender and yielding to the bite. So often it's a bit rubbery (Jingwen tells me because they tend to be shipped frozen, what a shame). 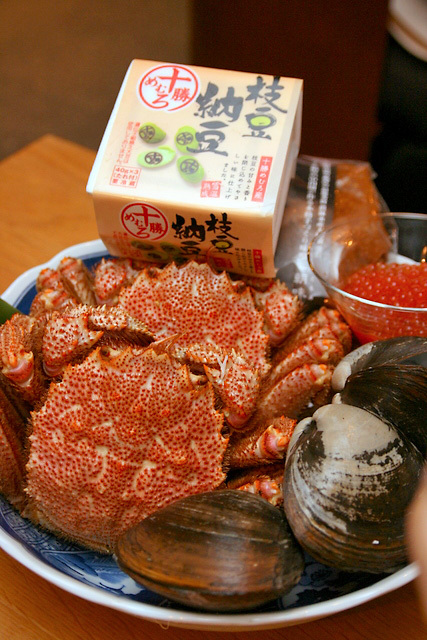 The hirame is fresh and the tsubugai is also excellent. 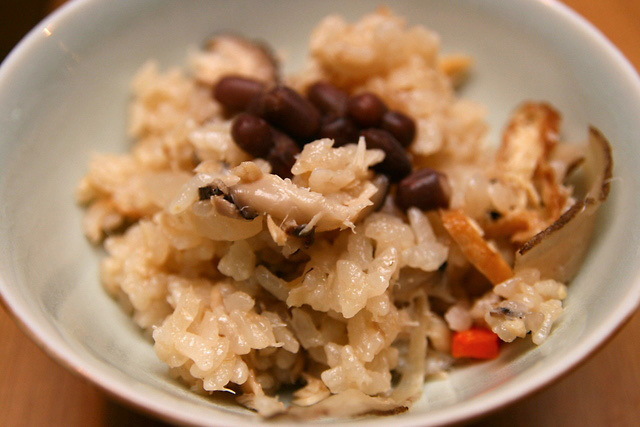 Gobo Surinagashi (Grated burdock and tofu). 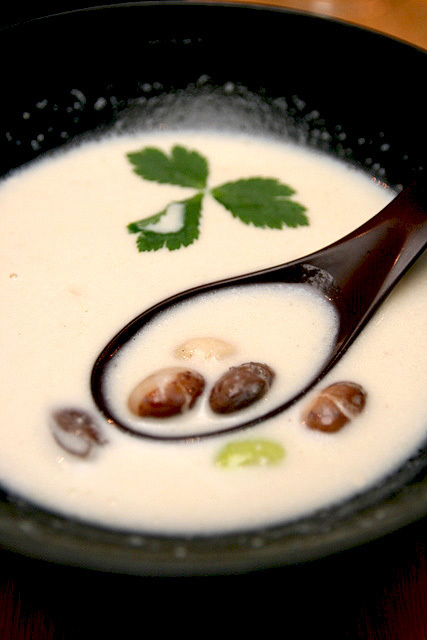 This potage-like soup is made with Tokachi potato, Tokachi beans and Tokachi burdock in a dashi stock base. Interestingly, the root vegetables fend off the cold winters of Hokkaido by storing a lot of sugars (helps prevent freezing), so they tend to be sweeter. Master Chef Koezuka Yoshihiko showing us root vegetables from Tokachi - (left to right) burdock, potato and lily root - such vibrant specimens. 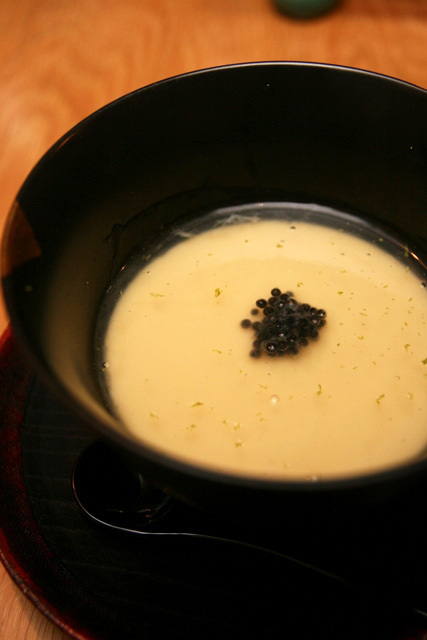 I would have never thought of combining lily bulbs (百合 in Chinese) with chawanmushi but the creaminess of the lily bulb blends well with the steamed egg. Whole slivers of the lily root add a bit of texture. 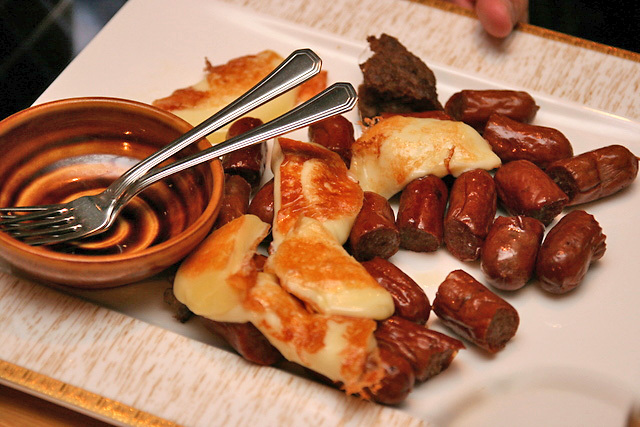 And then someone came by with a platter of grilled cheese. Mid-dinner snack of mozzarella from Needs of Tokachi. Yummy! Beef so full of flavour! Sometimes this kind of beef can be nicer than wagyu, because it has more "beefiness" whereas some types of wagyu are so clean-tasting, they are almost more bland by comparison. This steak was done just right - beautifully pink in the middle. - Tai Shiokara (fermented sea bream guts) on the bottom right, certainly interesting! The strong flavours may be an acquired taste for some, I took to it immediately. Even had it with the rice dish. 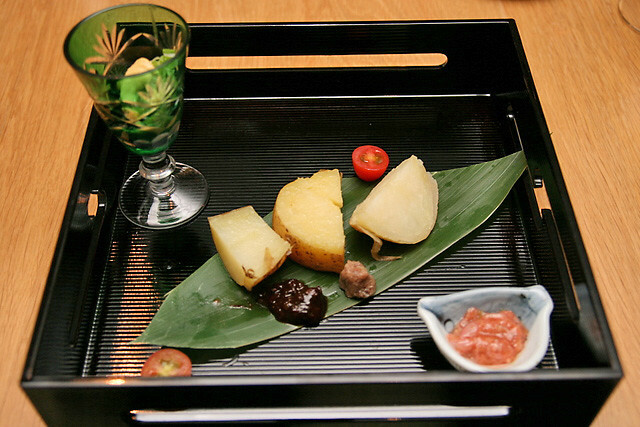 - Grilled Miso and Dried Anchovies (below the potatoes) so potently umami. 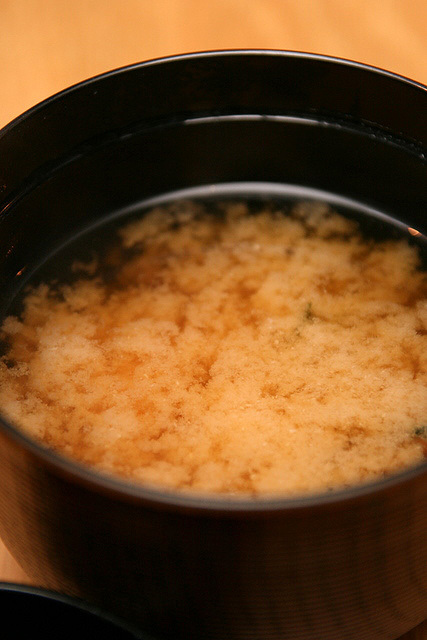 Miso soup (miso from Nakata En). Very light with a hint of smokiness. 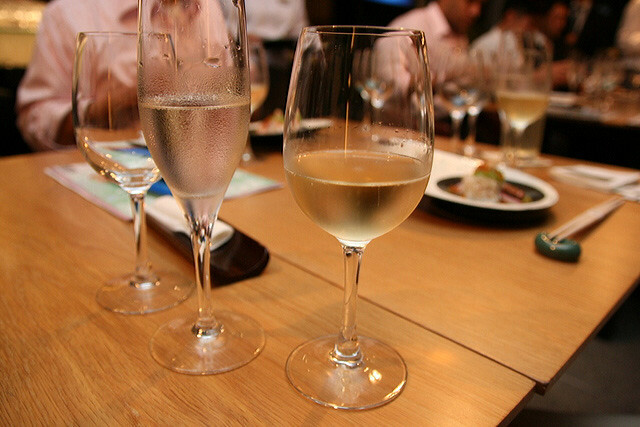 We also had some Hokkaido wines and sake to go along with the different courses. The MilkJam folks brought out this rare souffle with milk jam at the bottom. A sweet treat indeed. 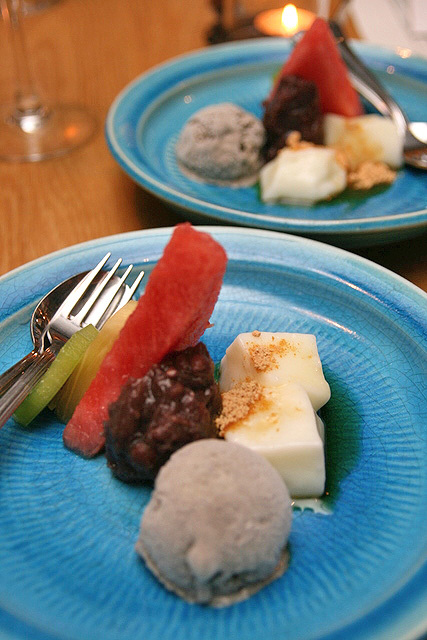 Milk Kuzu Mochi, Tokachi Azuki An, Goma Ice Cream. A pleasant way to round off the evening and cleanse the palate. Someone so kindly gave me this! 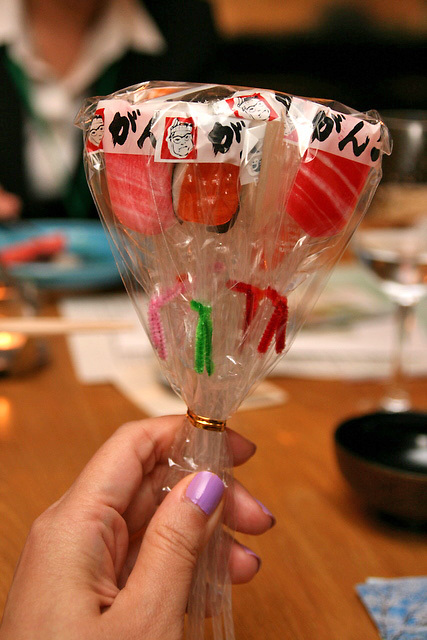 Sushi lollies! It's too cute to eat! It was so nice to meet the produce vendors and Japanese media. It was also nice to see RE&S Director for Overseas Business Development, Takahiko Tsutsui, whom I first met at Danger Nite. He helped to translate many things for us! Food at Kuriya Penthouse is always good. 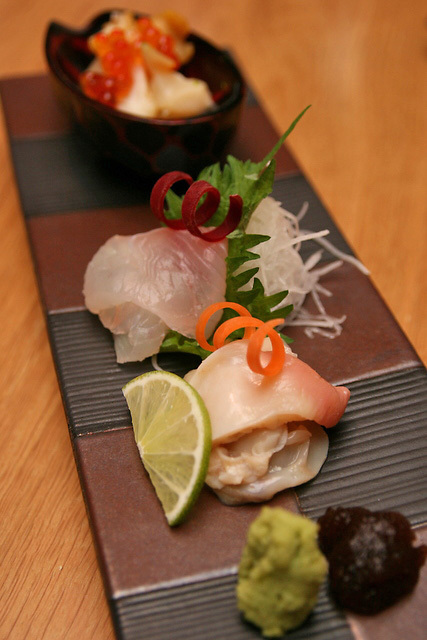 It's little wonder they won the runner-up award in the 2012 People's Choice Award for Best Japanese Restaurant. Their sister restaurant Kuriya Dining won the top award. ごちそうさまでした！Many thanks once again to Harumi for the invitation, Chef Koezuka for the spectacular dinner, and the hospitality of the Tokachi folks. I really enjoy photographing food that is this good. Hope you enjoyed the bumper post too. oo lala! I can almost smell the meat and hear the sizzle from here. A great spread.. which was your favourite counter? Liverpool: I am hoping so! I will just buy them exclusively!!! Ciki: everything was so nice! 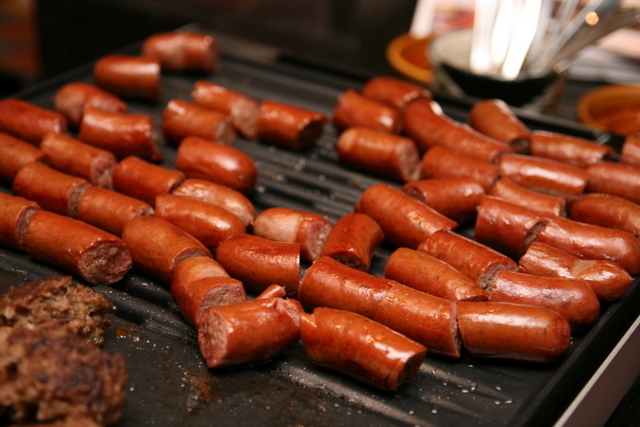 Seriously, it's hard to decide, but if I had to pick only one - the sausages were certainly awesome! Wow what a great post.Such items are very nice.I like it. Fancy Supper with André Chiang? My 1000th Post! 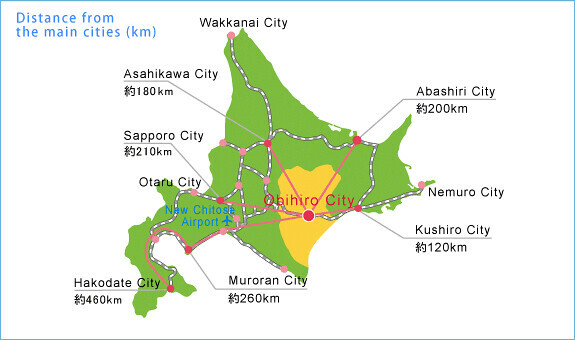 And Okinawa, here I come! What Kind of Singaporean Are You?